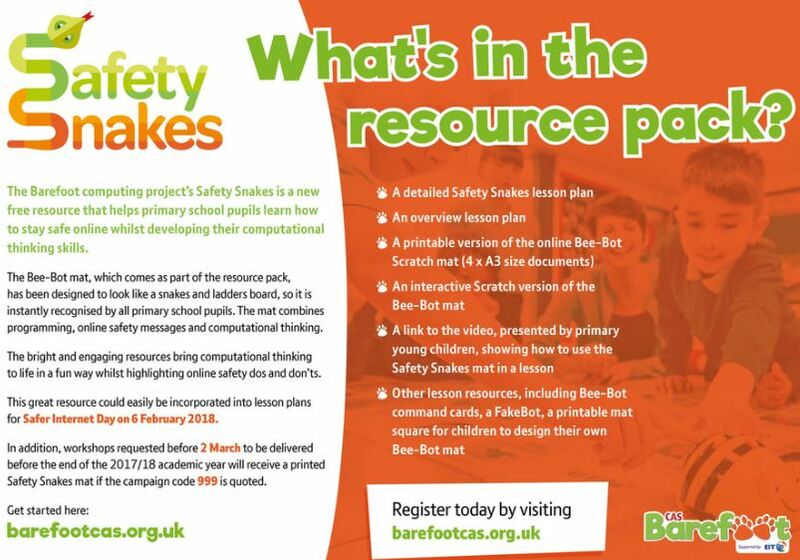 The Barefoot Computing Project has just launched a new set of free teacher resources, Safety Snakes. It’s aimed at showing the power of computational thinking in keeping young people safe online. 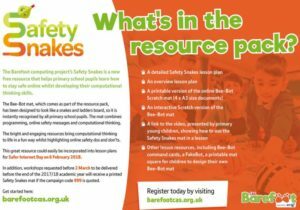 Take a look at the 2 minute film that shows how Safety Snakes uses Bee-Bot programming, snakes and ladders, and online safety behaviours to help inspire, engage and support young people and teachers alike. “Young people have never been more in need of online safety support. Combine that with the pan-curricular power of computational thinking and we can really make a difference to the skills, social mobility and confidence they need.